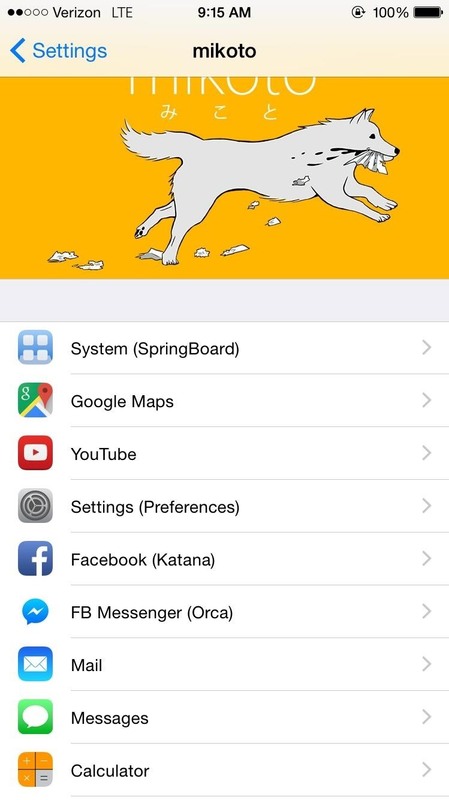 Mikoto, from Karen Tsai (aka angelxwind), is a free jailbreak tweak unlike any other. 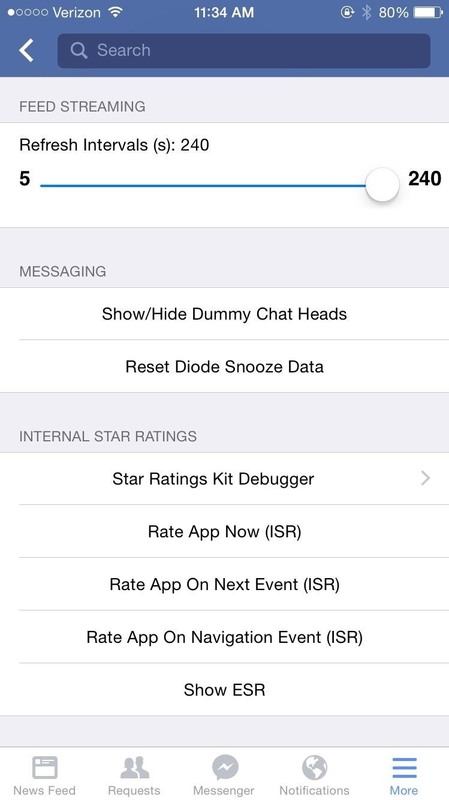 With Mikoto, you can customize features in your favorite iOS apps to an extent that you would've never thought possible. 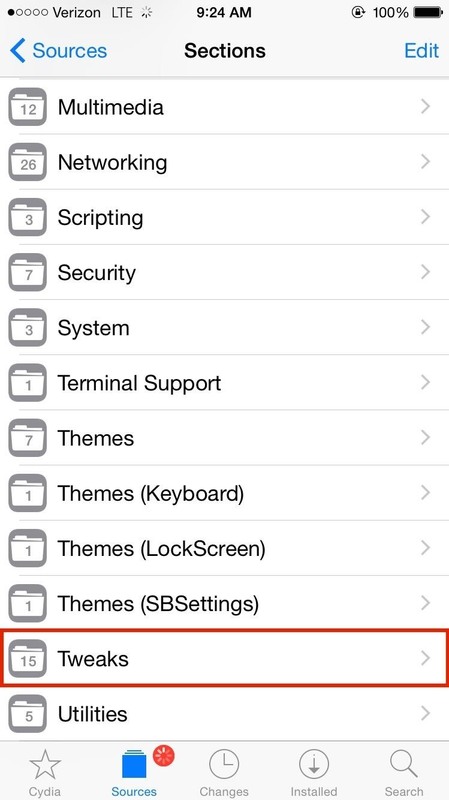 Not only is the tweak elegantly designed, but it also has more settings and features than you can think of. With Mikoto, you can do such things as disable the lock screen camera icon, enable background playback in YouTube, add contact icons to the Messages app, and so much more. 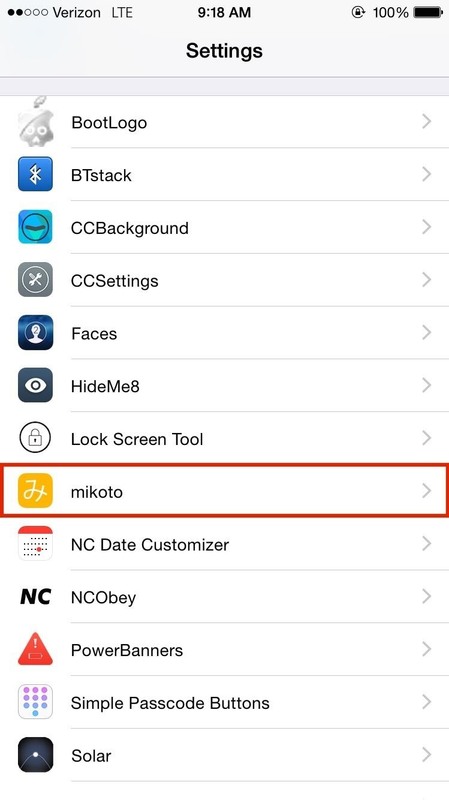 If you've ever debated about whether to jailbreak your iOS 8 device or not, Mikoto should put you over the top on that decision—especially because it's totally free. 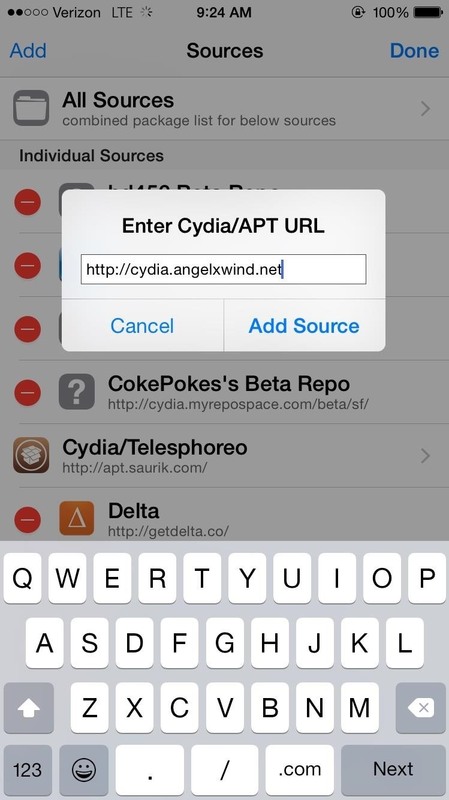 In the Cydia app, go to Sources -> Edit -> Add, then enter the URL "cydia.angelxwind.net" and tap on Add Source. 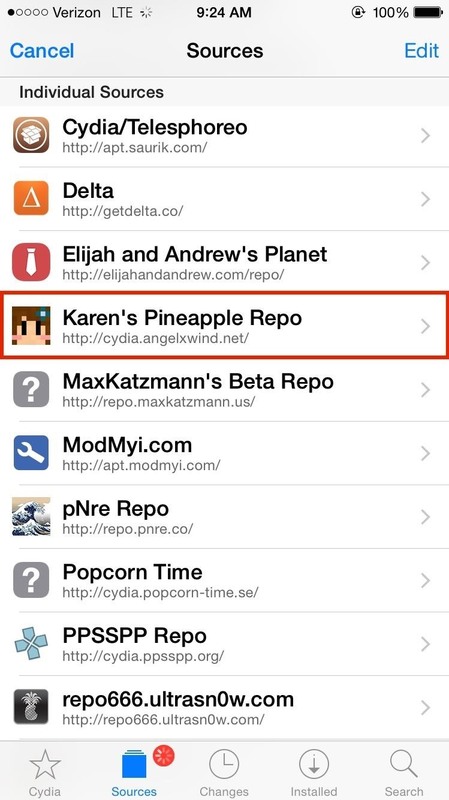 Go into the newly added "Karen's Pineapple Repo" in Sources, then navigate to the Tweaks folder, install "mikoto," and restart your springboard. 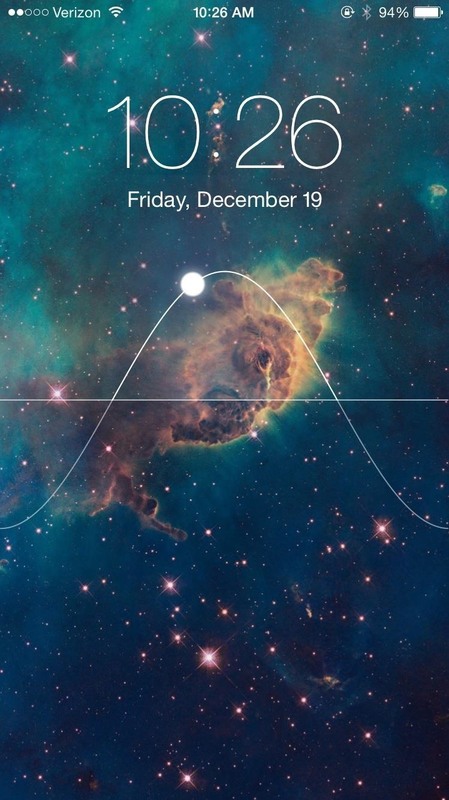 (1) Disabled LS camera and same status bar size. (2) Disabled LS blur. 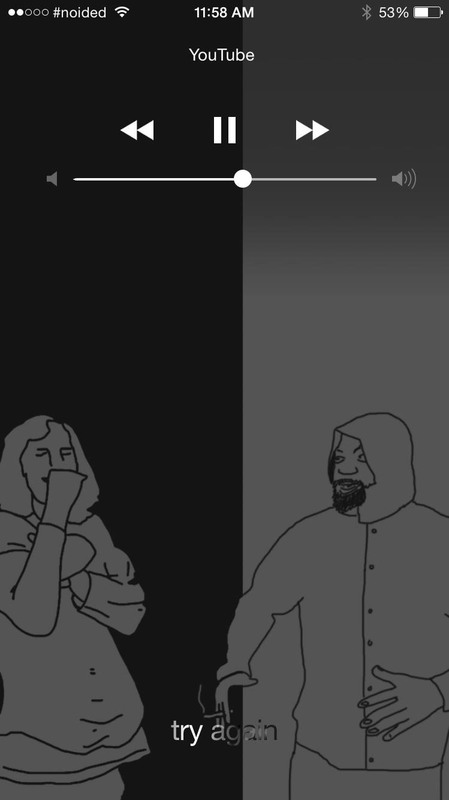 As someone who uses YouTube a great deal, I was excited to see settings for the mobile video app, but those feelings quickly changed to elation when I saw a setting for background playback....Joy! With Mikoto, you can leave the YouTube app while watching a video and the audio will continue playing in the background, even with the screen off, complete with lock screen controls. 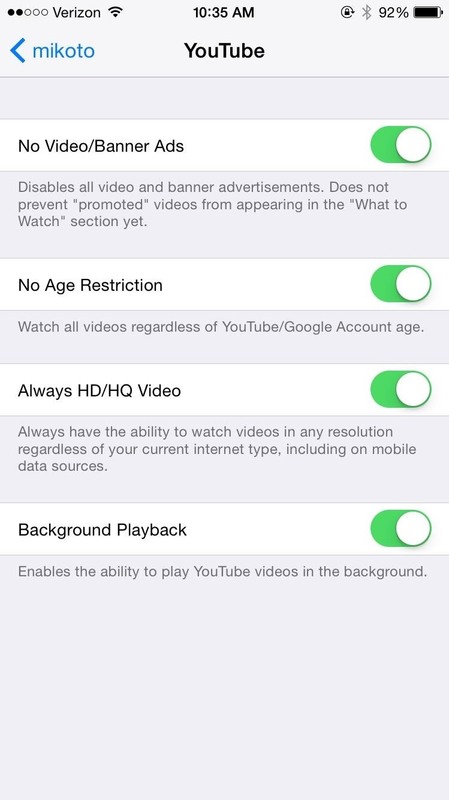 Additionally, you can disable ads and age restrictions, as well as force HD video no matter what your internet connection may be. 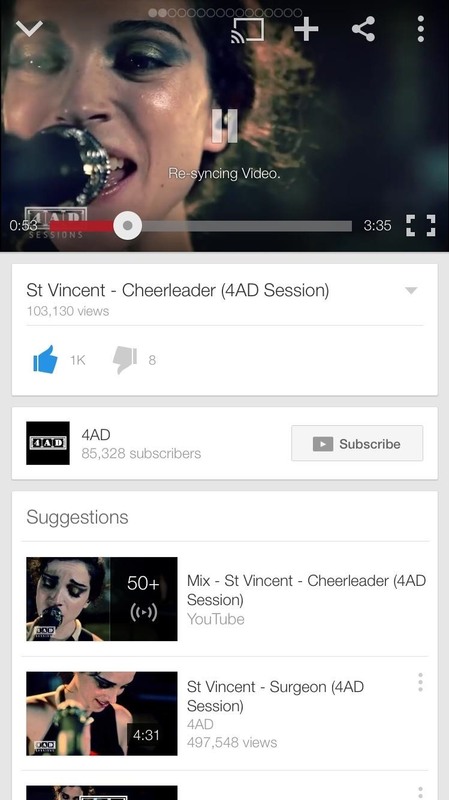 "Re-syncing Video" occurs when you exit YouTube with background playback and return to the app. 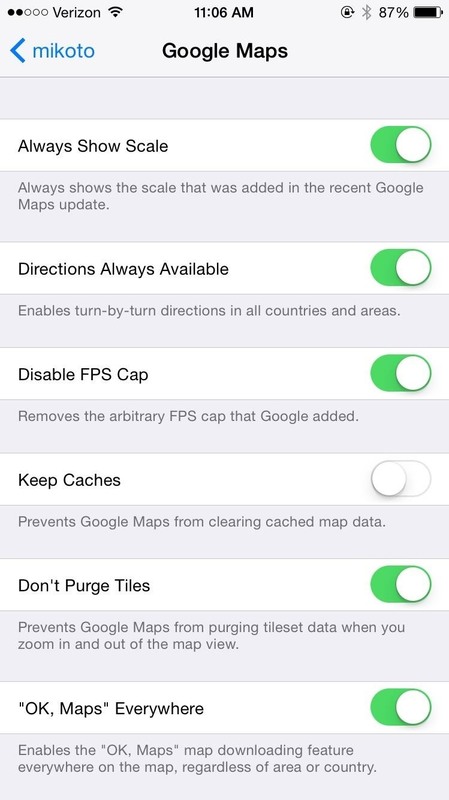 Since Apple Maps still isn't as polished as it should be, there are settings available for all of you who prefer Google Maps, myself included. 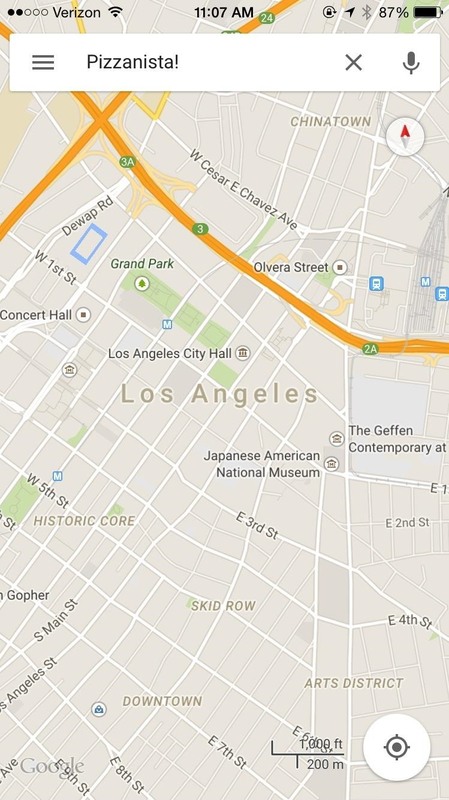 Enable turn-by-turn directions in all countries, keep caches so Google Maps doesn't clear any of your data, prevent the screen from dimming when in Google Maps, and enable the "OK, Maps" command everywhere on the map, which downloads whatever map you're on for offline use. 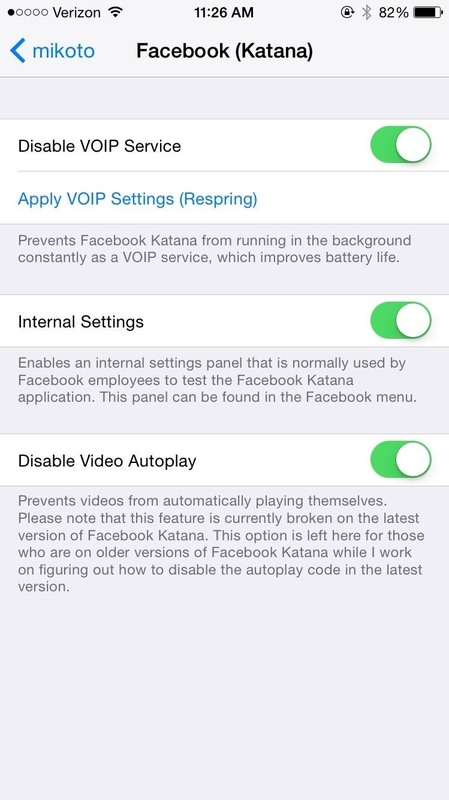 Facebook and Facebook Messenger both have settings pages where you can disable VoIP service for the two. 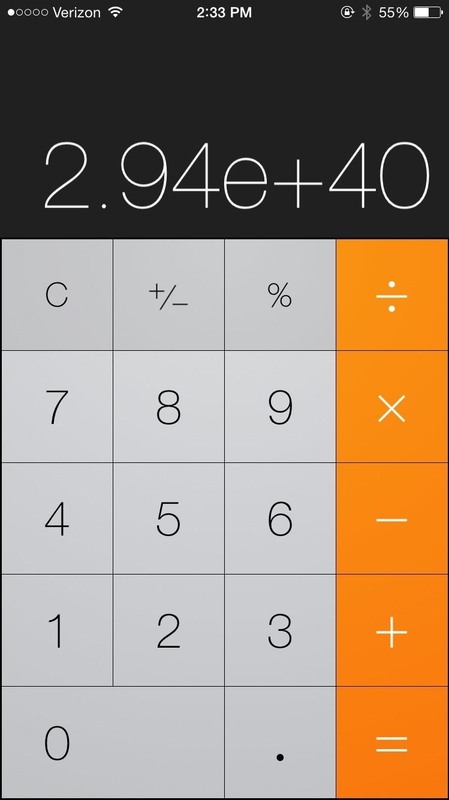 This prevents the apps from running in the background constantly, which in turn improves battery life on your device. For Facebook, you can enable secret developer settings, but I wouldn't suggest messing with them unless you know what you're doing. (1) Mikoto's options for Facebook. (2) Internal settings in Facebook. The last setting disables video autoplay in Facebook, but it currently doesn't work in Mikoto. But that's okay, because the stock Facebook app has an option to do that anyway. Just open up Facebook, then go to More -> Settings -> Videos and Photos -> Auto-play, then select your choice. One of my favorite settings in Mikoto adds contact photos to the Messages app, giving it a lively and more colorful overall look. You can also enable a feature which allows you to send videos of unlimited length through text message, breaking the 3-minute limit. 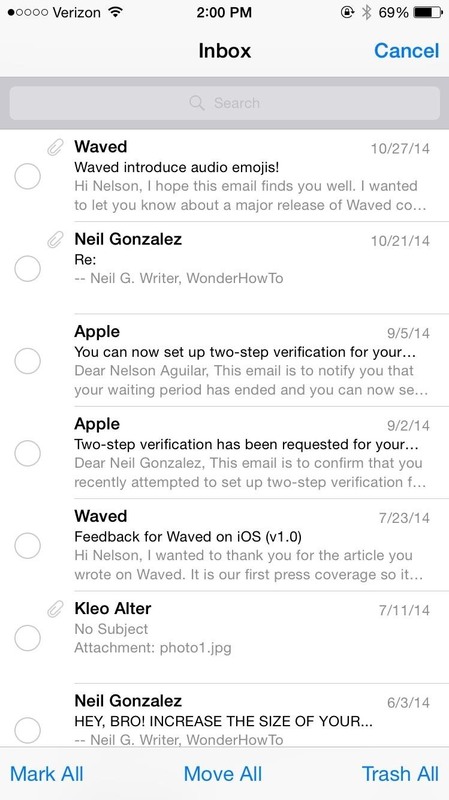 With Mail, you can only enable one extra feature, but it's definitely worth it. In case you're tired of selecting emails one by one, enable buttons for Delete All, Move All, and Archive All. 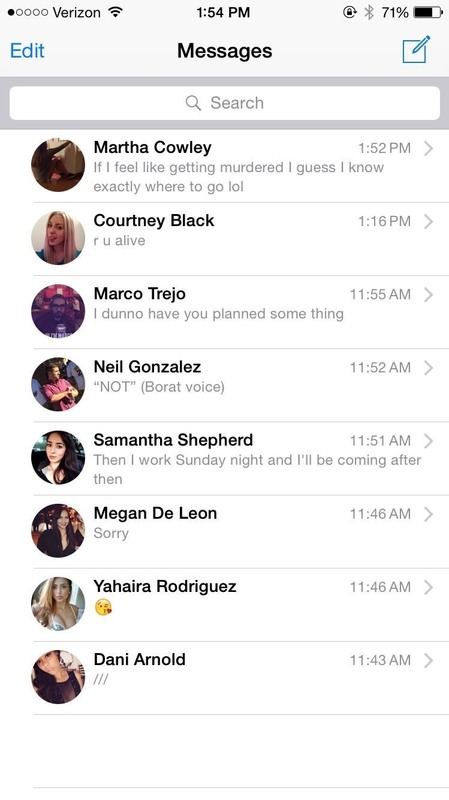 (1) Message threads with pictures. (2) "Move All" and "Trash All" added alongside "Mark All." 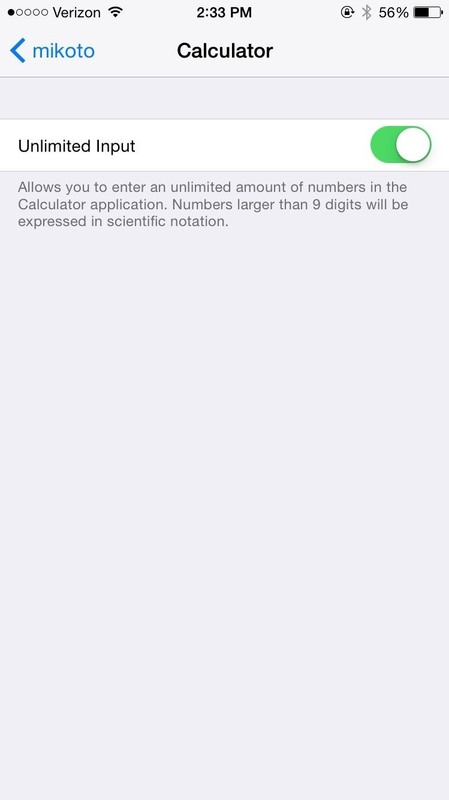 Finally, we've got a single setting for the native Calculator app, allowing you to enter an unlimited amount of numbers, which will show up in scientific notation once you go past nine digits. There are a hell of a lot of settings to enable and disable with Mikoto; it took me a while to get everything how I liked it. Experiment with certain settings enabled and then disabled, because some of them could possibly interfere with other Cydia tweaks. If you use Trillian (instant messenger) or CampusPortal (for students), there are settings to disable ads and show all sections. Hit us up in the comment section below to let us know what you think about Mikoto, or via Facebook, Google+, or Twitter.